Are you game enough to play with Geoffrey Parker? Geoffrey Parker navigated to a career in making leather board games by making miniature leather-bound bibles and classic novels that had to be read with a magnifying glass. His craftsmanship achieved sufficient renown that he was asked by clients such as Asprey, Dunhill and Cartier to make their chess boards and other leather board games. 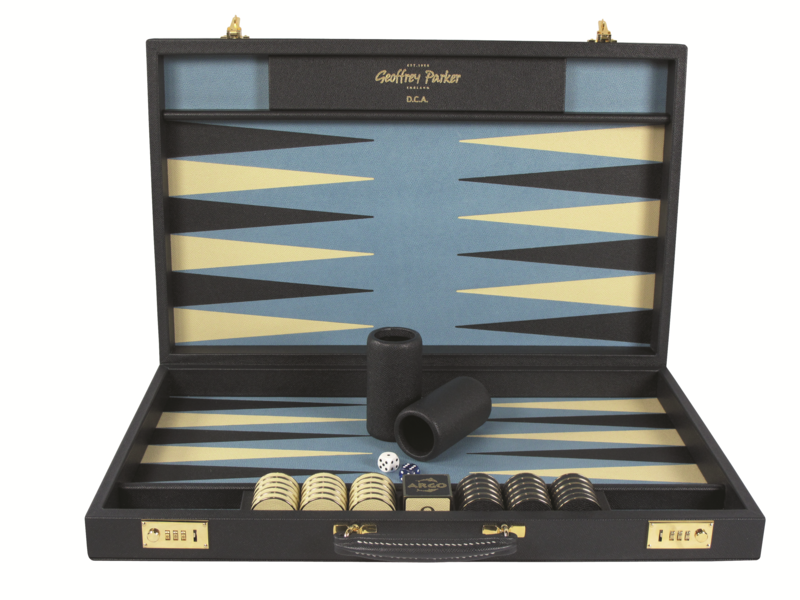 Later, Parker’s company (geoffreyparker.com) went on to make boards for the Backgammon World Championship. Their technique of leather inlay and use of superior materials makes them one of the most revered board-game-makers in the world today (priced at around $6400 for the tournament-sized board). The business also has a custom arm that enables connoisseurs to design a board game to suit their luxury vehicle, villa, yacht or private jet.